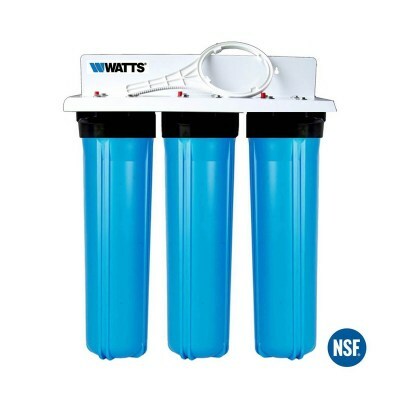 he Watts Pro 4.5 x 20 Inch Triple Whole House Water Filter System is a excellent solution for whole house filtration particularly for larger households where particles and sediment is a significant issue. The system consists of three 4.5 x 20 Inch filters. The first two are Watts Flow-Max Pleated Cartridges providing a steady reduction in Micron size. These are 20 Micron and then 5 Micron. The Pleated Cartridges are made of 100% cellulose free synthetic media for increased dirt holding capacity, longer life and reduced filter costs. No additives or binders are used. Flow-Max cartridges are pleated for increased filter area, high flow and low pressure drop. 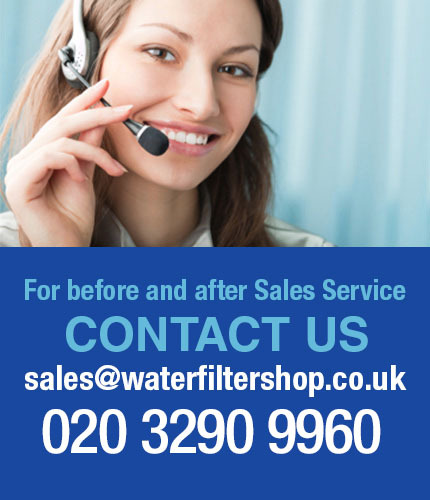 The engineered filter media is highly efficient to provide superior filtration. The third filter is the 4.5 x 20 Inch Watts 5 Micron Carbon Block, the best carbon block produced by Watts Water Technologies. 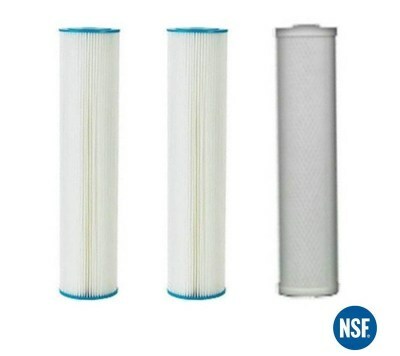 This is a top-of-the-line coconut shell carbon block filter cartridge for chlorine, taste, odour and further sediment reduction. Media wrap between centre tube and carbon block to reduce carbon fines. Up to 99% chlorine reduction - at 2ppm. FDA grade components & materials.